Our popular padded suspenders are purchased by almost everyone who purchases one of our tool belts or a combo. These tool belt suspenders easily clip onto the sturdy metal rings that are built into our molded air-channel support tool belts. 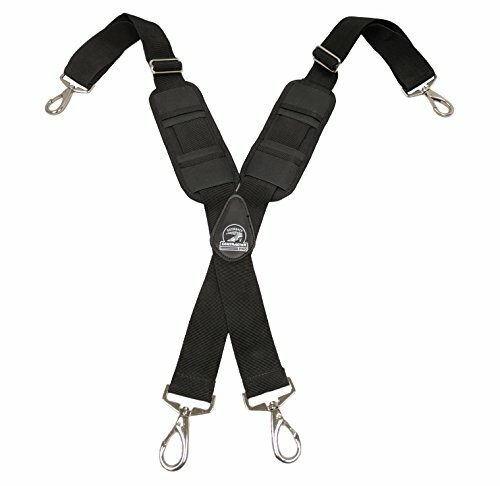 The padded shoulder straps make these the ideal set of suspenders for your tool belt rig. The suspenders are meant to pair perfectly with our Gatorback Tool Belts. You can adjust the length of each side of the suspenders to make for a better fit. If you have any questions about this product by Gatorback, contact us by completing and submitting the form below. If you are looking for a specif part number, please include it with your message.